The first official day of competition has completed and what a day it was. 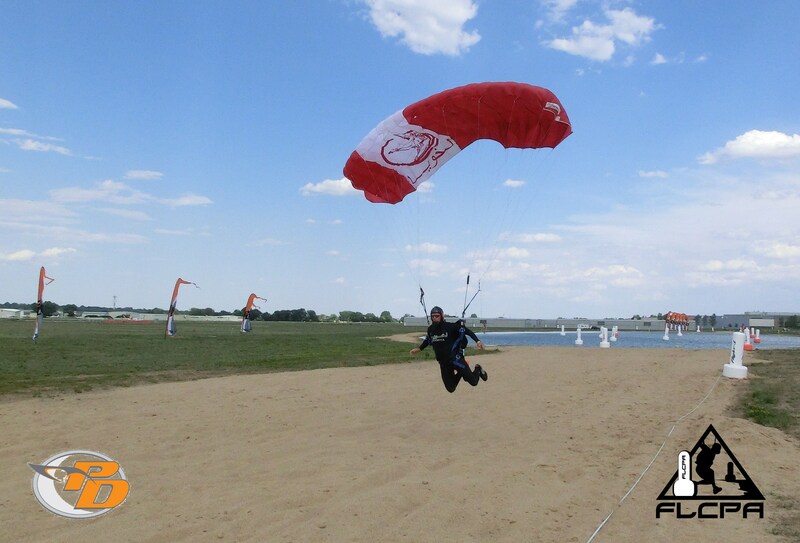 Competitors did 8 jumps(4 speed, 4 distance) All the rounds were done in a downwind or quartering tail wind from 0.0-6.7meters per second. In the Speed runs, Greg Windmiller’s 2009 speed record of 2.093 second was challenged by Jonathan Tagle and Nick Batsch with times of 2.096 and 2.095 respectively. But no one has been able to beat the speed record yet. In the distance runs, round 1 saw the record broke twice!!! Jonathan Tagle first broke the 2009 record with a distance of 195.65. Nick Batsch then took his record back with a new record of 222.45 meters!!! There were plenty of rough landings and a few high speed skips off the water. The scores have just been updated here. and the days photos can be found here. Stay tuned through the weekend if you’d like to watch the event live. Many folks enjoyed watching the live stream direct from the judges scoring booth. You could even hear the speed times confirmed in real time. We’ll be back in the air at 9:00am Mountain time for more action!!! $20 for pick up in Deland.